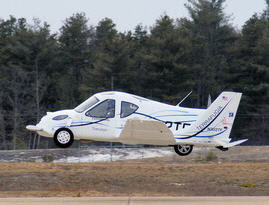 Just read about this flying car on the China Daily News. This vehicle will allow you to drive or fly to the grocery store. 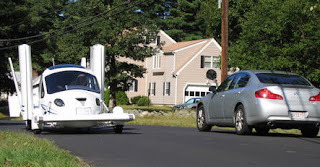 The flying car was built by a company named Terrafugia, a spinoff from MIT. While this is a novel idea, I'd hate to see what the insurance is on this. Toyota just announced that they are going to certify pre-owned hybrid vehicles. Obviously, these certified hybrids will command a premium over their non-certified counterparts. For potential used-Prius owners, the 8 yr battery warranty could help alleviate some anxiety. It will be interesting to see how this affects used Prius prices. Here is the announcement from Toyota.